Innsbruck is a city in Austria and popular tourist destination renowned for winter sports. The unique imperial and modern architecture of the city is home to over 100,000 people. Situated at the foot of the incredible Alpine mountain range, its top attractions include Alpenzoo Mountain, Emperor’s building and museum Goldenes Dachl and the lavishly-decorated Ambras Castle. Cheap flights to Innsbruck are now available for a limited time period, so prepare to be amazed and inspired by this urban hub in the centre of one of nature’s finest wonders. Innsbruck is home to Innsbruck Airport (INN), also known as Kranebitten Airport. Discover Innsbruck’s history at the iconic Emperor’s Building and Museum, the Goldenes Dachl, in the city’s old town or explore the lavishly-decorated Renaissance castle and the national museum of Ambras Castle. Ski, snowboard or hike on beautiful icy slopes. Innsbruck, the Capital of the Alps, is home to a range of ski parks and winter sports, much to the delight of the adventurous traveller. 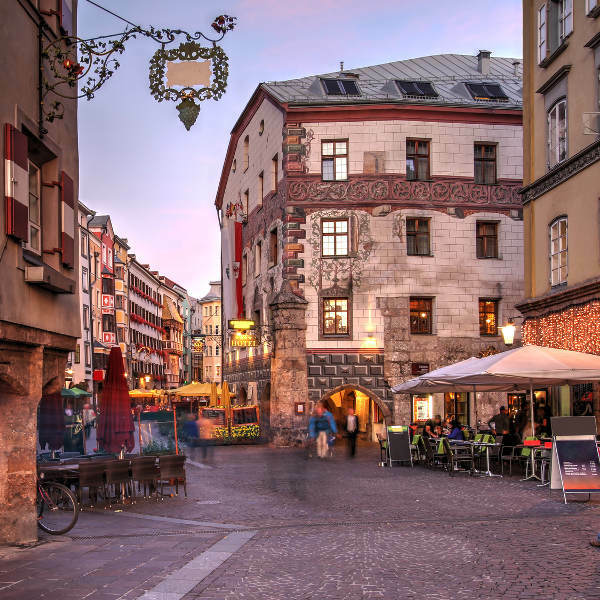 Enjoy the creative, youthful vibe of Innsbruck at popular bars or clubs in the city or treat yourself to delicious Austrian delicacies at one of many restaurants. The gorgeous snow-capped Alpine mountains that awaken during the winter months draw large crowds of travellers to Innsbruck from December until April. 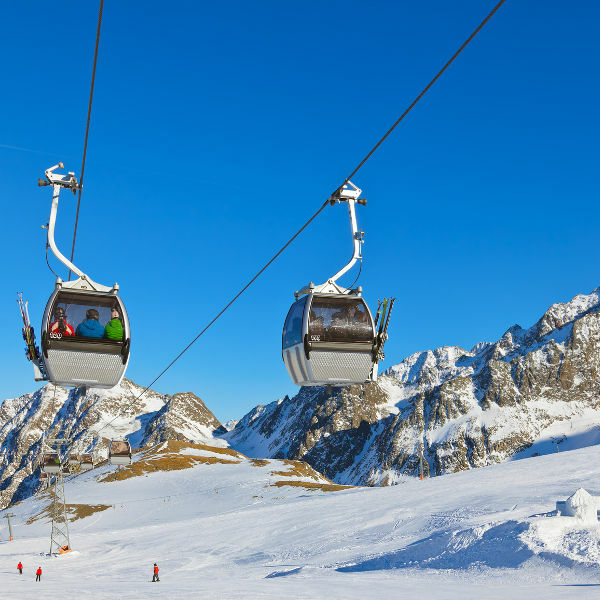 The peak tourist period in this popular winter destination is the perfect time to go skiing on the icy slopes or be part of the annual events that include the Hahnnenkamm Ski Race in January or the Air and Style Snowboard Contest in February. The rise in temperature from May onwards brings with it top notch traditional and international dance and music festivals. If you’re around in June, the popular Tanzsommer International Dance Festival will thrill your senses. From July to September the Frühschoppenkonzert free outdoor concerts are held as well as the Alpine Folk Music Festival. Innsbruck is a vital cultural centre in Austria and there are events and festivals to enjoy all year round. Nestled at the bottom of the Alpine Mountain range, Innsbruck buzzes with adventure and excitement. Popular for its large winter sports community and the vast picturesque mountain slopes to ski, hike and cycle on, the city also offers an incredible, creative urban vibe. Explore beautiful streets lined with residences and monuments styled in unique imperial and modern architecture. 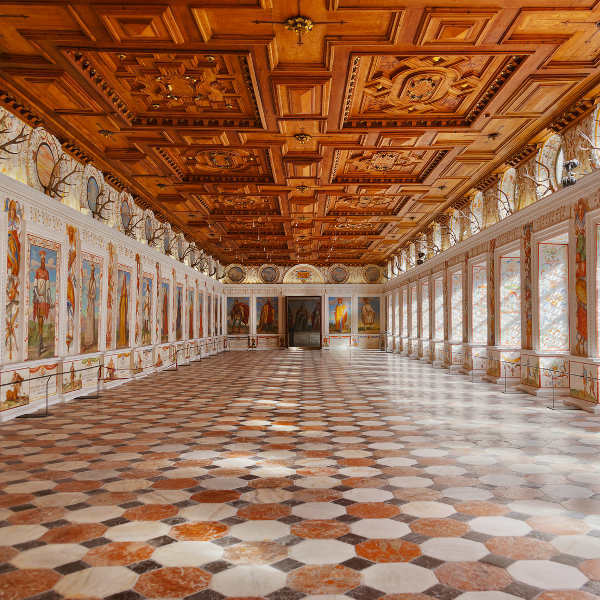 The iconic emperor’s building and museum, the Goldenes Dachl and the lavishly decorated Ambras Castle are must-see attractions. As Innsbruck is also a youthful university town, there are a large variety of vibrant pubs, restaurants and dance clubs to enjoy. Traditional soups and dumplings or delicious Kiachl fried dough pastries can be enjoyed at one of the many restaurants in the city. Innsbruck is rich with natural attractions - take a cable car up to the unique Alpenzoo, one of the highest located zoos in Europe. Encounter the majestic mountain lynx face to face or just enjoy exploring the home to indigenous and rare Alpine birds, wolves and other wildlife. Innsbruck is unique in its beauty and a perfect holiday destination. Compare several airlines, and book your cheap flights to Innsbruck online at Travelstart! Make sure routine vaccines that include the MMR vaccine, DPT, Chickenpox, Polio and your yearly flu shots are updated before travel. You are advised to get vaccinated for Hepatitis A, Hepatitis B and Rabies if you plan on being in contact with any wildlife. Innsbruck is a relatively crime-free city. You are, however, advised to practice normal safety precautions like keeping an eye out for petty crime such as bag snatching or pick-pocketing. Keep all valuables and important documentation safe, avoid suspicious areas and travel in groups as often as possible.